After-life just got a lot more complicated Maggie is a Soul Collector. 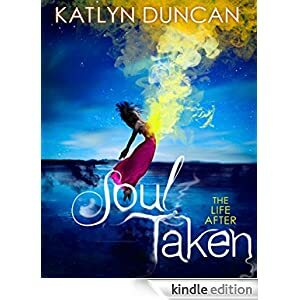 It’s her job to transport souls from the Living Realm to the After – but during a mission to New England to find a stolen soul, she ends up stuck in a teen mean girl’s body. Trapped, Maggie’s soul is catapulted into Ally’s life – and the human world she hasn’t experienced for one hundred years. But, as a descendant of the most powerful beings in the After, Maggie must rescue Ally before the girl’s soul dies… To survive, Maggie must uncover devastating secrets – because with one soul taken by a terrifying enemy, Maggie’s could be next! This paranormal romance is for teens and is selling for $1.99 today.